In this advanced world of budding technology, we cater to each and every need of the user and a better interface is appreciated by all. Although the existing technology pays off well, we still strive towards progress and such strides are constantly being made by Mozilla. 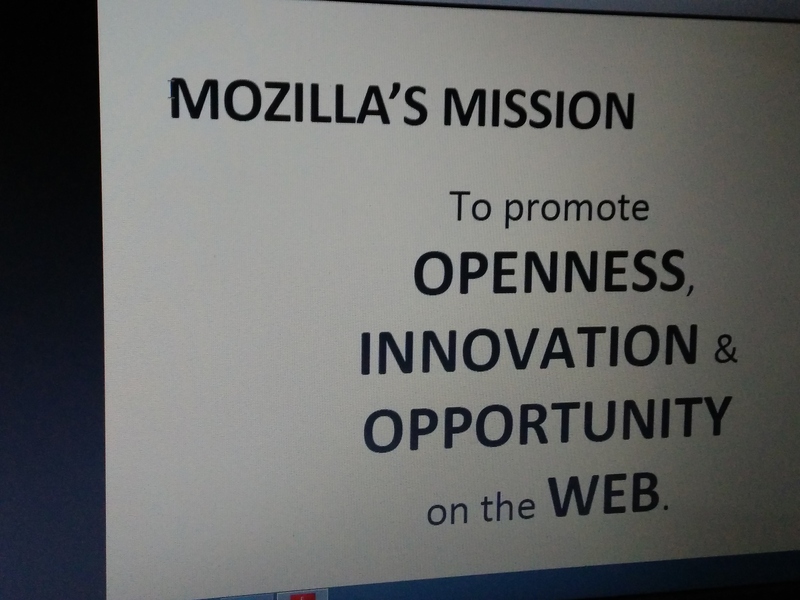 Mozilla’s Internet browser which has time and again proven to be the best and the most secured browser aims to promote openness, innovation and opportunity on the web. 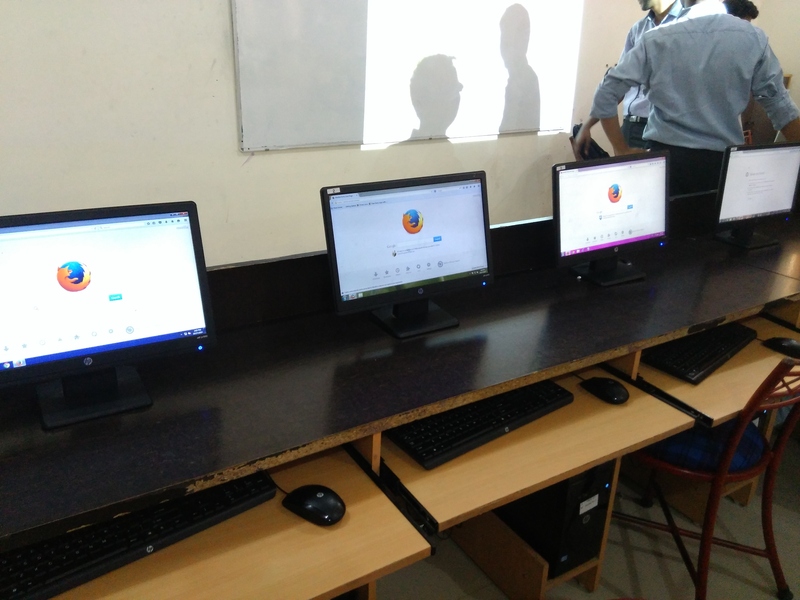 To support the cause, one such attempt was made by the NIET Firefox Club during the “NIET FIREFOX CLUB’S INAUGURAL EVENT” powered by Mozilla Reps, Mozilla Foundation, Mozilla India and Mozilla l10n. The club was officially announced in the first week of April, 2015 and bags the title of being the first only technical club in the history of NIET. 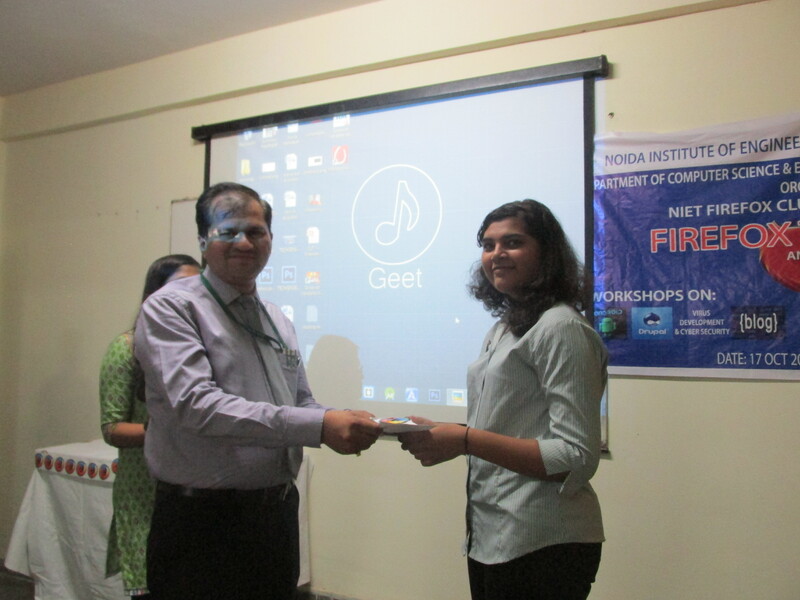 The club has previously organized various events which include MozMeet@NIET, Enigma and many more. 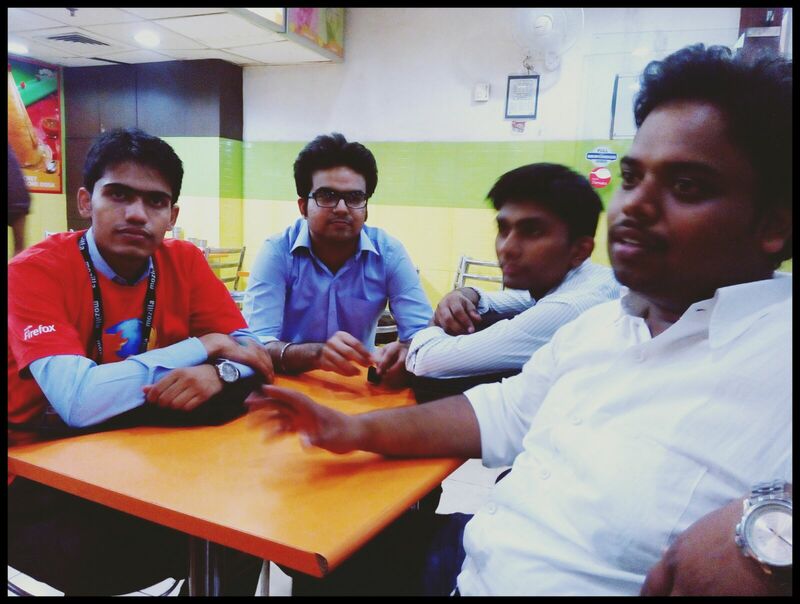 The inaugural event of the club named “TechSense” was held on 17th of October, 2015 and no stone was left unturned by the club to make it a grand event. 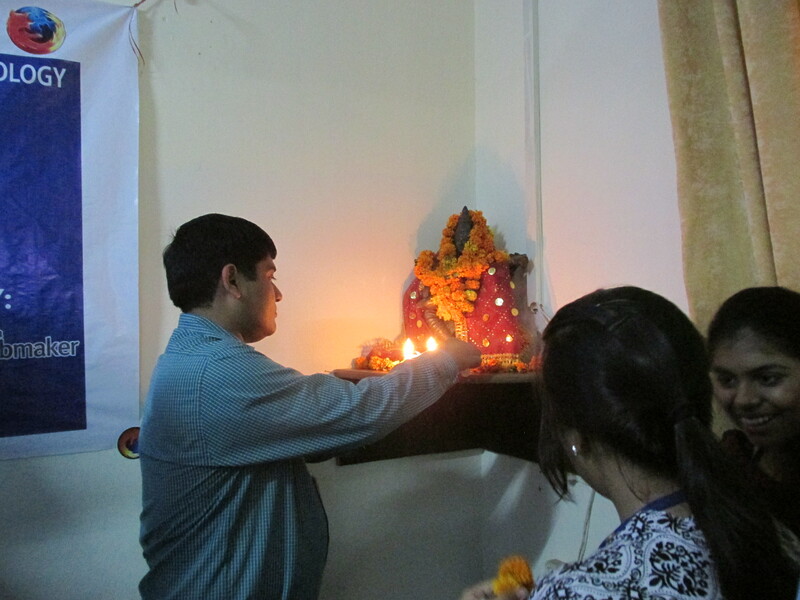 The event won innumerable hearts of the inquisitive minds and for sure has left a golden mark in the history of NIET. 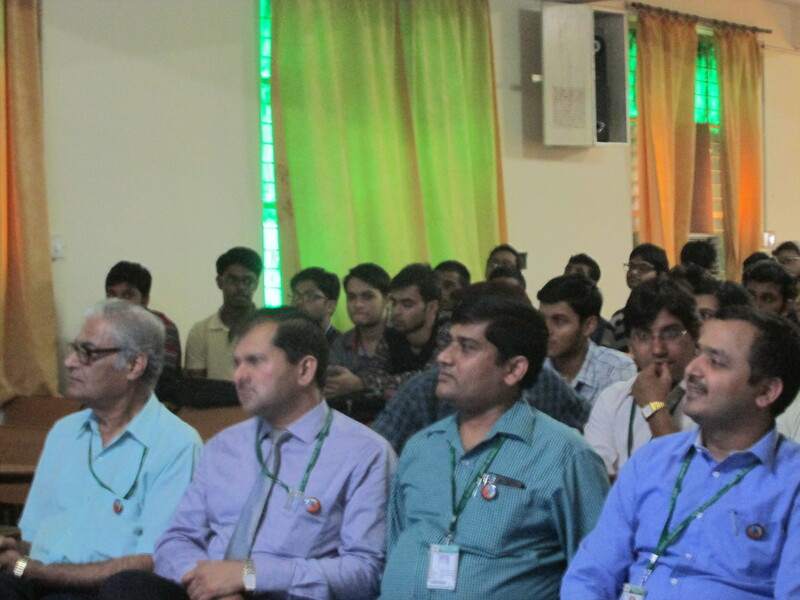 The event was preceded upon by Director Dr. Ajay Kumar and our wonderful HOD’s – Prof. C S Yadav, Dr. Somesh Kumar, Dr. P Pauchari and Prof. R Kumar, advisor CS and IT whose benign presence led to the success of our very event. 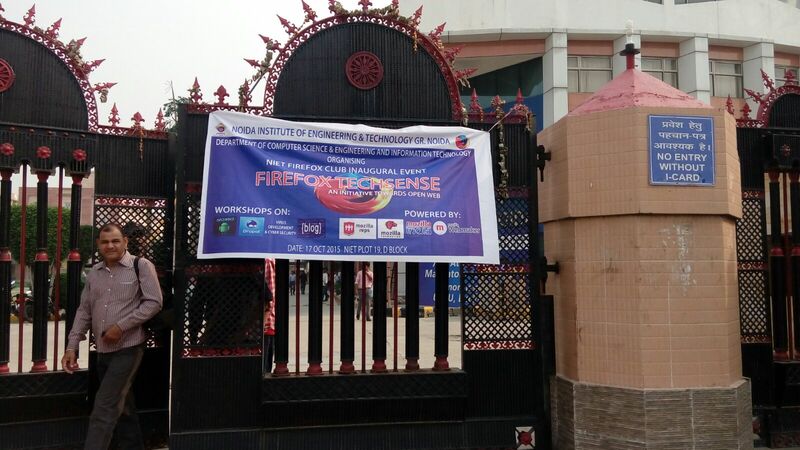 The event kick-started with the lightening ceremony to set ablaze the podium followed by few words from our dignitaries who showered their impeccable knowledge upon us as the participants clamped on keenly to each and every word of them. The excitement level grew when the students were briefed about what they were about to experience by Mr. Vibhanshu Chaudhary , the Club Lead and founder of club who introduced and shared his knowledge on various Webmaker tools provided by Mozilla, FSA program, Mozilla l10n and presented a short video message of Ms. Ting Jung Lee, Community Manager, Firefox Student Ambassador program. 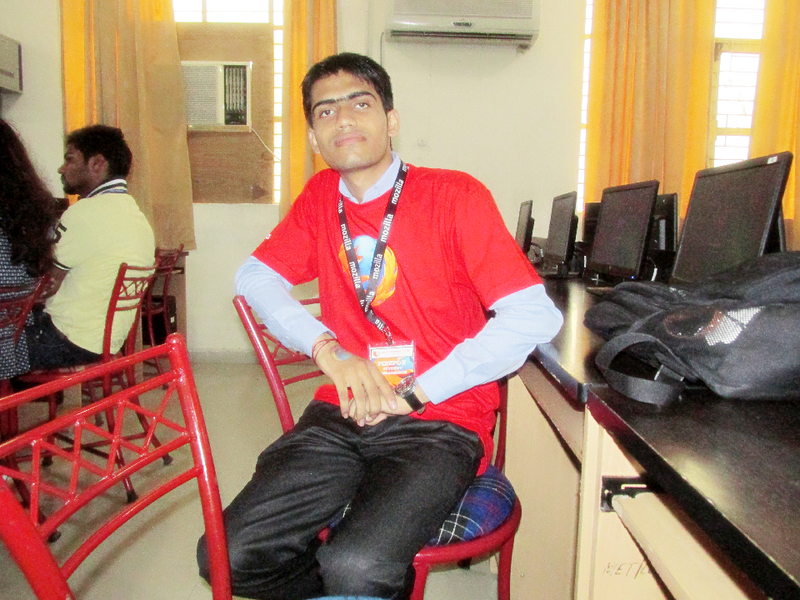 He is a Webmaker Mentor and Mozillian for about 2 years and actively contributing to Mozilla projects and Open Source. 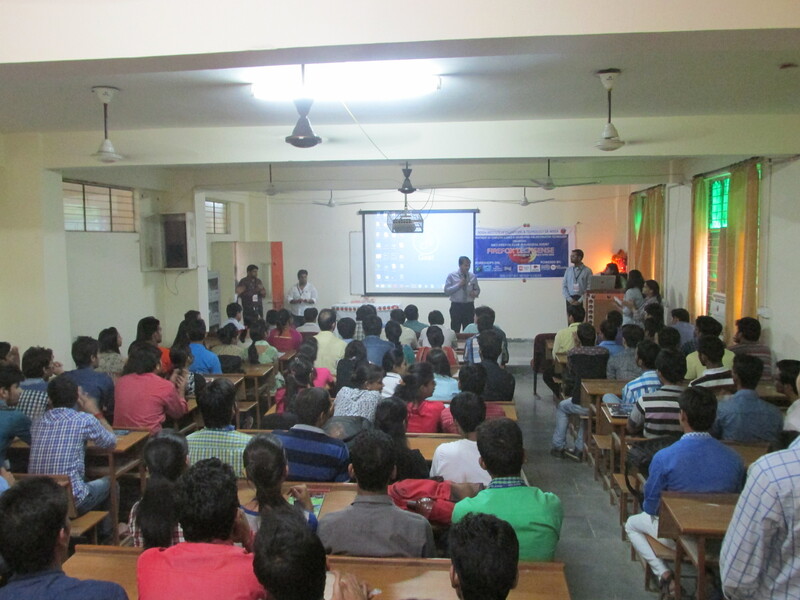 Then the CL organized a 3 hour session on “Grow Firefox in Indian Languages” campaign. 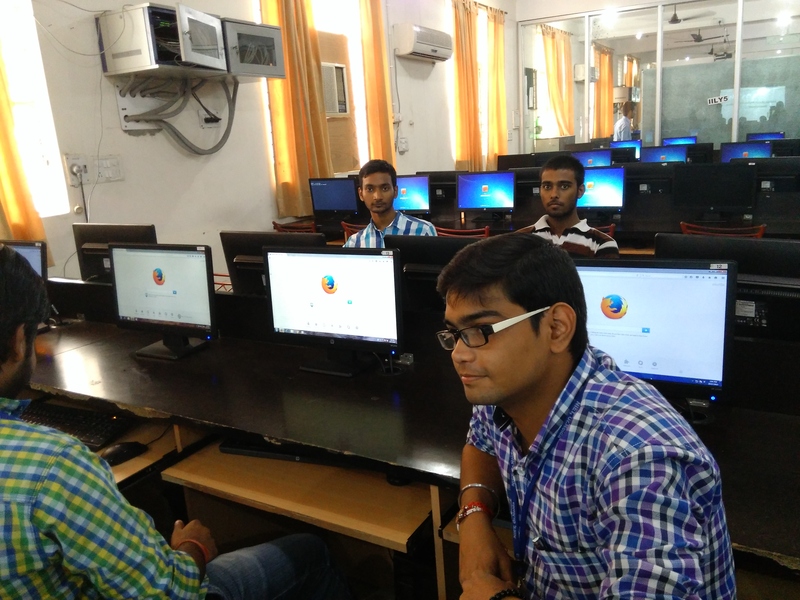 In this session, the participants were taught about localization l10n.All attendees wondered to know that Firefox is also available in Hindi language also which is mother tongue of mostly all attendees. A link was provided to all to download Hindi version of Firefox and they find it really good to have Firefox in Hindi. 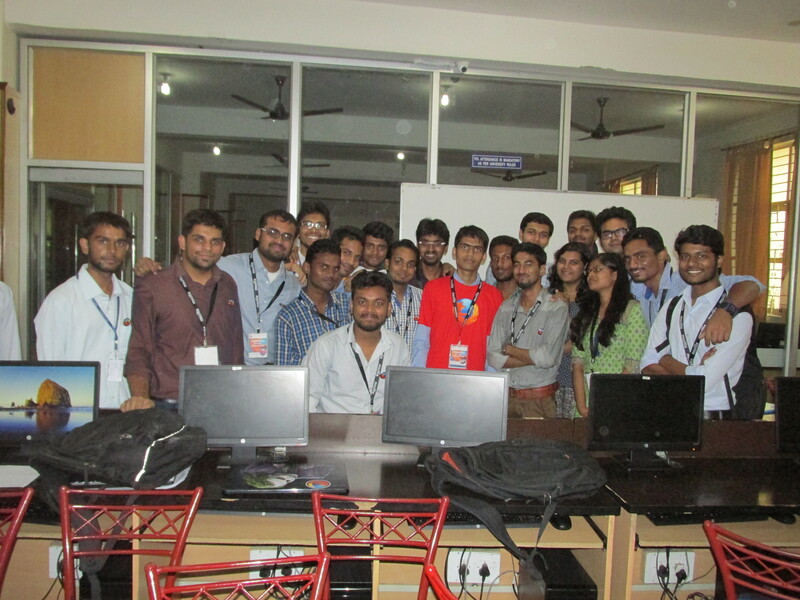 This session resulted in 77+ downloads of Firefox in Hindi and 2 labs were converted to Firefox(English) labs. 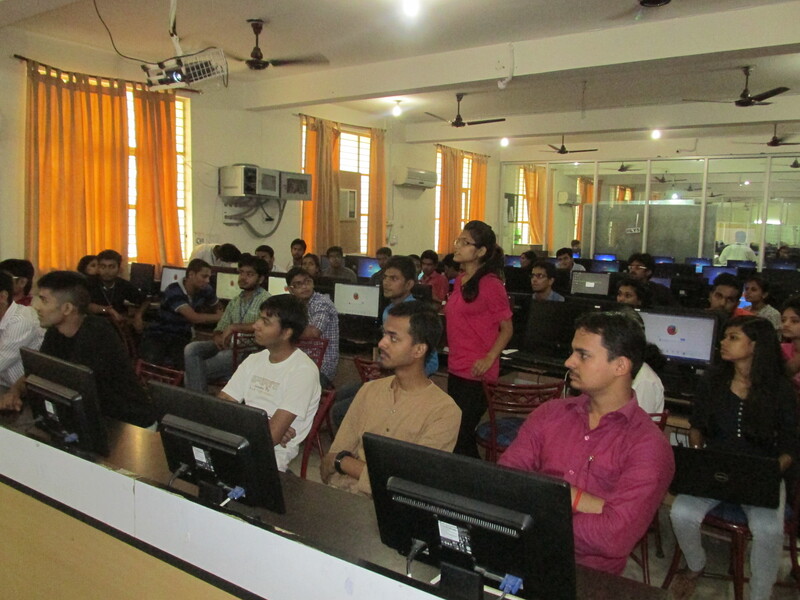 All in all three workshops were also organized on Android Mobile Platform, Drupal, Virus Development and Cyber Security. 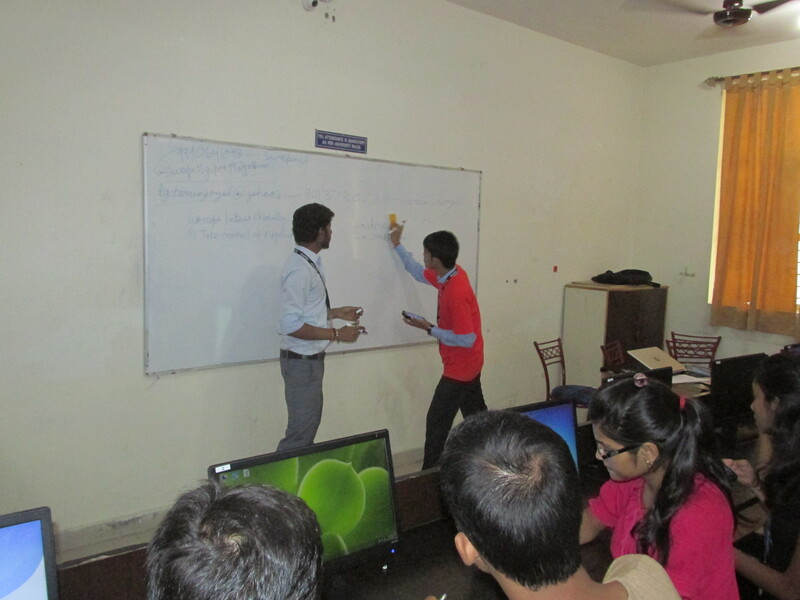 A complimentary blogging session for all was conducted being the cherry on the top of the cake and then the students were divided into different labs and were given a chance to explore and showcase their zeal and understanding on their chosen topic. Ergo, the students could choose any of the three. 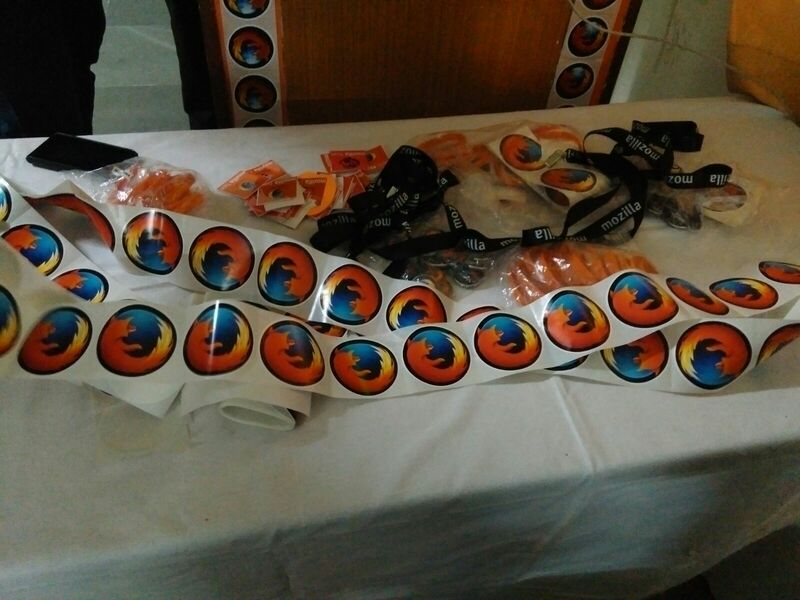 Mozilla goodies and swag were distributed among the participants but unfortunately the swag ran out of stock. These events witnessed enthusiastic participation by the contestants and led the results hanging neck to neck. The earlier meritorious students of Enigma(Mozilla Quiz) were also ushered upon by Mozilla goodies and swags that they deserved for winning the prior competitions in the prize ceremony. Receiving the lump sum of more than 200 registrations, the event turned out to be a massive success and we hope that we can continue to take these small strides on the path of technological advancement for the smallest of strides leads to the largest of goal to make the web Open. So , it’s time to thank people without whom the event might not be successful and great. 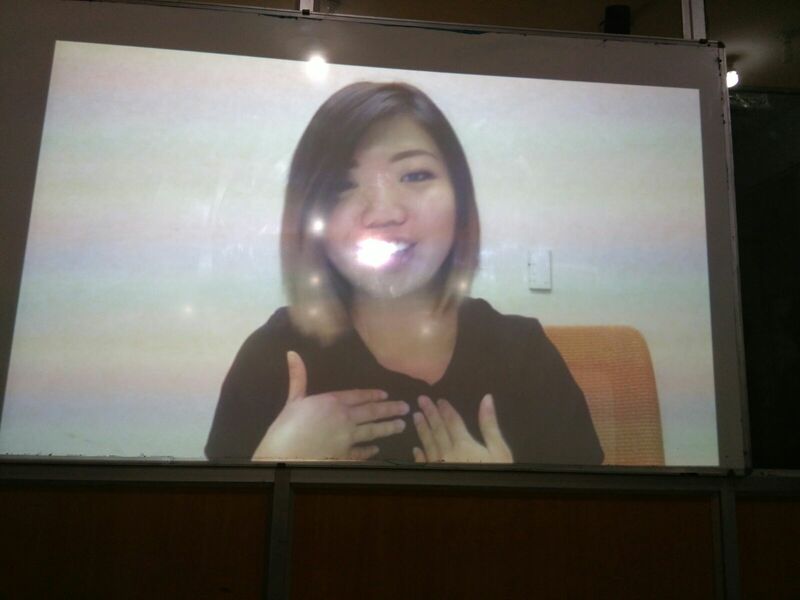 I would like to give a special vote of thanks to Ms. Ting Jung Lee (TJ) for her awesome video message that created a zeal and enthusiasm about FSA program in the mind of participants and college management. A vote of thanks to Mr. Umesh Agrawal (Mozilla Rep, Pune) for providing me awesome swag and guiding me through out the event. 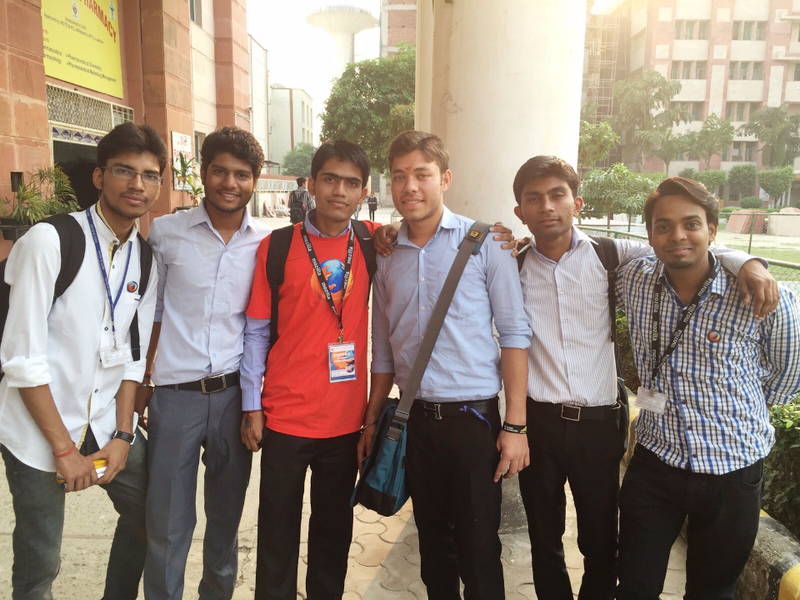 A special thanks to Professor C S Yadav (HOD , CSE) who made available each and every resource required by our club. 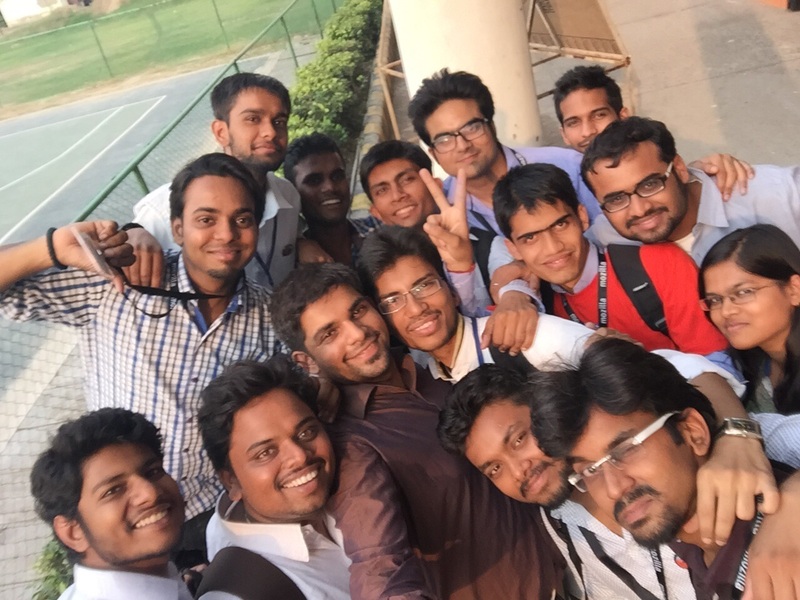 I would like to thank all the coordinators of club and organizers of workshops : Shivam Chopra, Shubham Aggrawal, Sanyam Yadav, Shubhankit, Tarun Goyal, Swapnil, Kartikey, Jaya, Mohit, Mayank, Shubham Jain, Shashwat, Sudhanshu, Deepanshu, Gaurav, Idraq, Praveen, Rajat, Sammridh, Shubh, Swetank, Surbhi, Vijay. Thanks to Sonakshi Gupta for helping in report contents.